Hello everyone hope you had a great new year. Just got back from Australia, had a blast and plenty of adventures. Hope everyone is enjoying there snow day off. Me and the Subaru took an adventure to waffle house at 6am, and had some other good times throughout the day. Every time it snows it reminds me why I bought a Subaru. 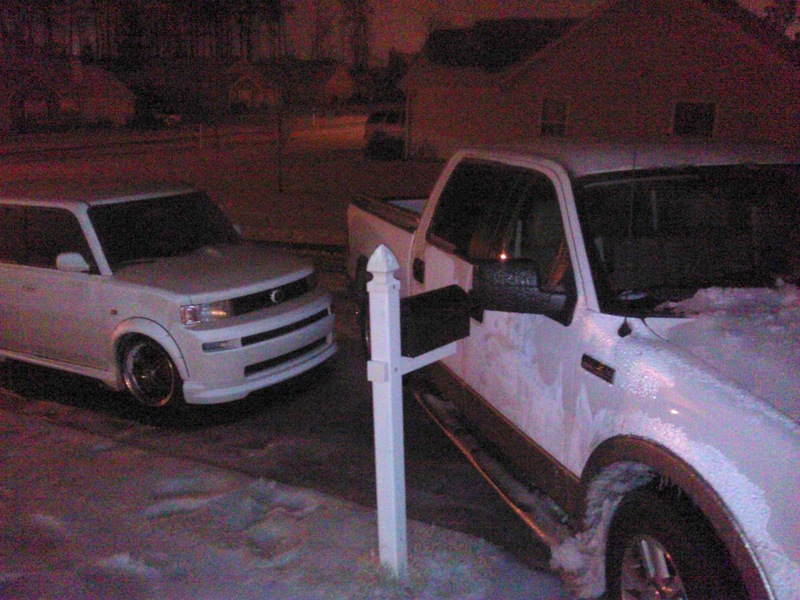 My roommates truck slid out of the driveway after he parked it. Almost hitting my girlfriends xb and the mailbox, but no hit so we all had a good laugh. cars > trucks in snow. Sorry big truck guys good luck getting out of that ditch. This is what we saw when we came outside. ha whew! Also the friv choice for snowpocalypse. The Zeep as we call it.